« Who created the creator? Nagatani informs us that in 1985, a Japanese archeologist named Ryoichi received a mysterious set of maps that led him to excavate numerous historic and contemporary sites around the world noted for their cultural significance. 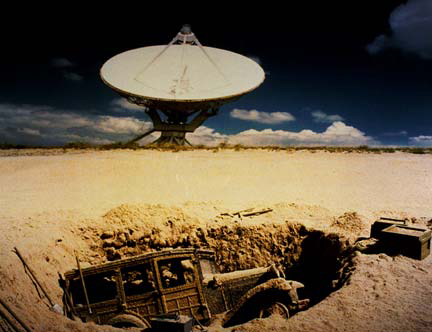 For fifteen years Ryoichi and his team secretly excavated Stonehenge, Chaco Canyon, Ayers Rock, Kitt Peak National Observatory, the very Large Array radio-telescope, and other sites. At each location they unearthed a different make of car. Buried in the volcanic ash at Herculaneum they found a Ferrari. 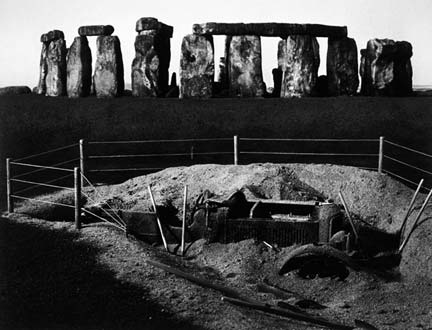 In the foundations of the Observatory at Chichen Itza was a Jaguar, while a Bentley emerged from Salisbury Plain near Stonehenge. Ryoichi had discovered a worldwide “automobile culture” that appeared to parallel our own, although it was anachronistic both historically and geographically. 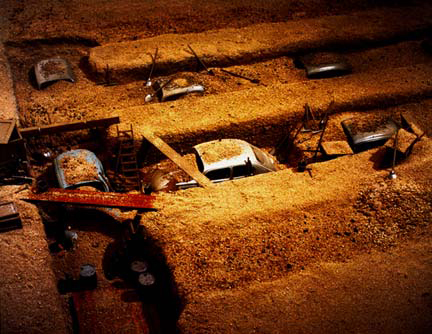 After unearthing the artifacts, Ryoichi’s team covered up all evidence of their digs, but not before Nagatani had photographed each site, providing the only existing record of Ryoichi’s discoveries. This entry was posted on dinsdag, februari 3rd, 2009 at 03:46	and is filed under Archaeology, Visual Arts. You can follow any responses to this entry through the RSS 2.0 feed. You can skip to the end and leave a response. Pinging is currently not allowed.